The Toronto Screenwriting Conference (TSC) is a yearly event that brings together professional screenwriters from across Canada and the US for a weekend of networking, workshops and lectures covering topics from “Maximizing Your Software with Final Draft” to “The ‘Unlikeable’ Female Protagonist” to “Breaking into Video Game Writing”. Founded by Canadian super-agent Glenn Cockburn, the conference is all about craft and professional development, not about promotion or fandom, so there’s not a lot of press around the event. Nevertheless, I managed to snag a couple of exclusive interviews with some of the TV writers headlining the conference. 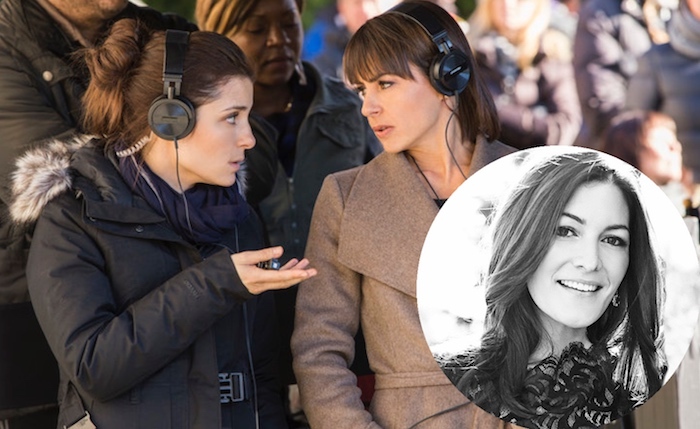 Stacy Rukeyser is the badass boss lady behind Lifetime’s complicated and addictive show about badass boss ladies. UnREAL, the scripted show about people who make unscripted shows, is ambitious, unapologetic, and ever-evolving in its woke takedown of The Bachelor and thoughtful rumination on the psychological ramifications for the women who sell the fairytale. A lifelong TV devotee, Stacy told me about all the shows she’s loved and currently loves and how they inform UnREAL. She watches everything, except The Bachelor.